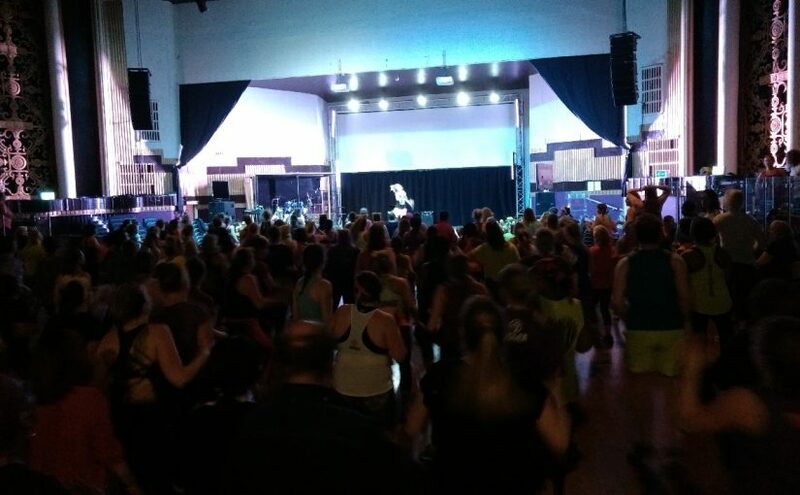 Zumba is a very popular activity for us. 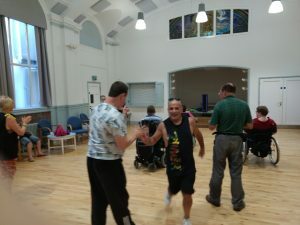 George Martini came again to give us rousing Zumba session. 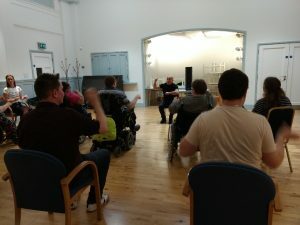 He started us off gently (or so we thought) with some seated Zumba, which turned out be fairly energetic. 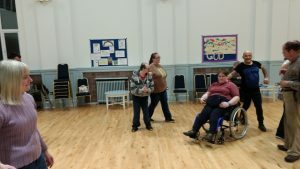 When we were well warmed up we regrouped into a circle and started to get really active ! 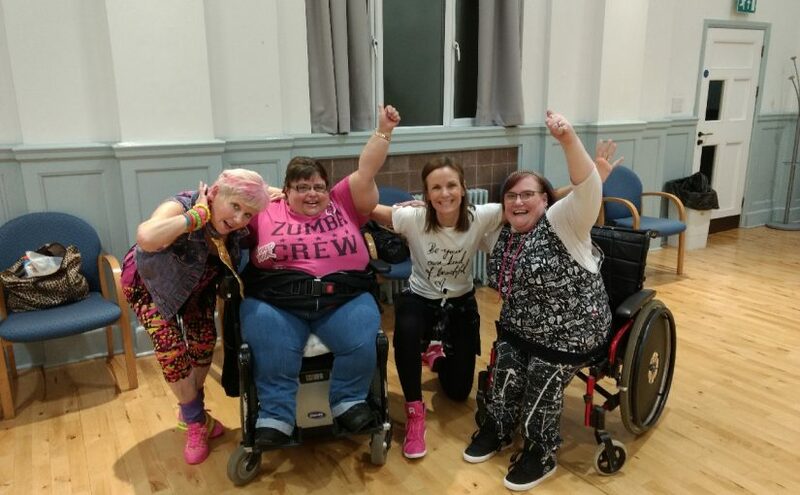 Another successful Zumba session ! 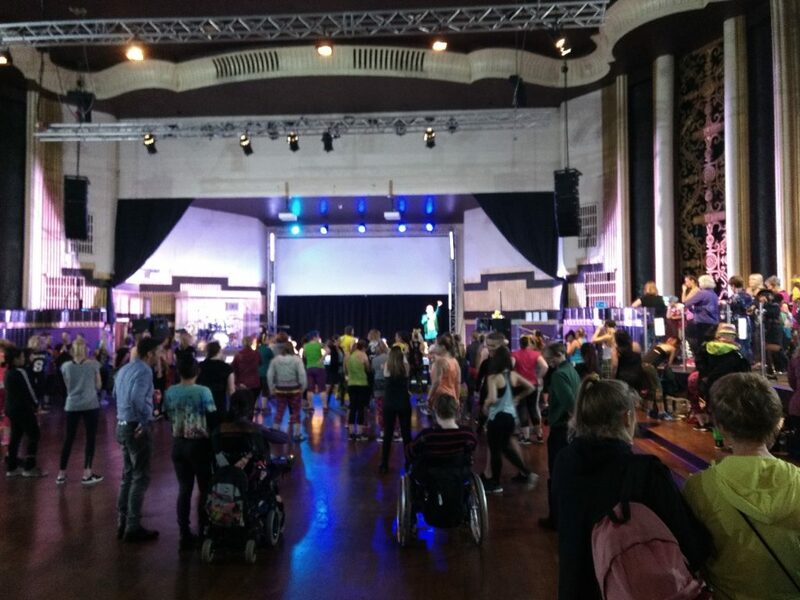 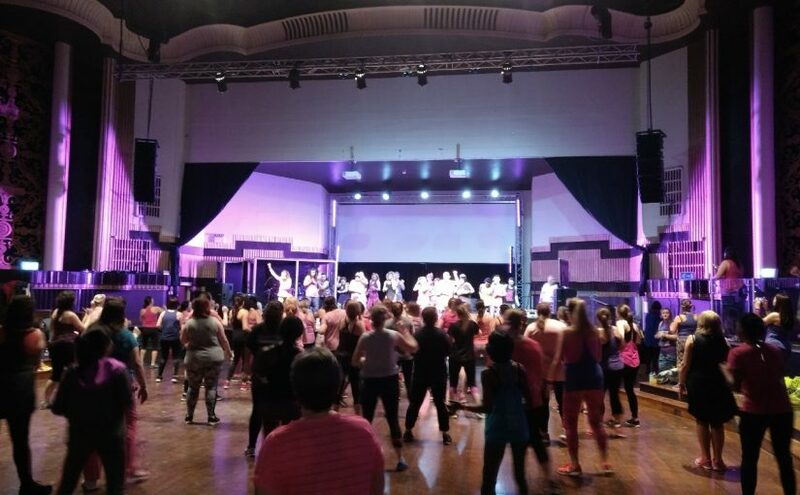 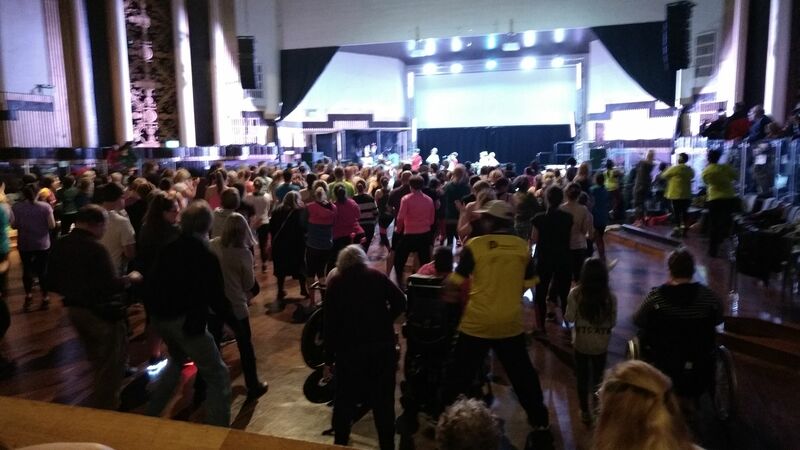 We went back to the Christian Life Centre on Cowley Road for another Zumbathon. 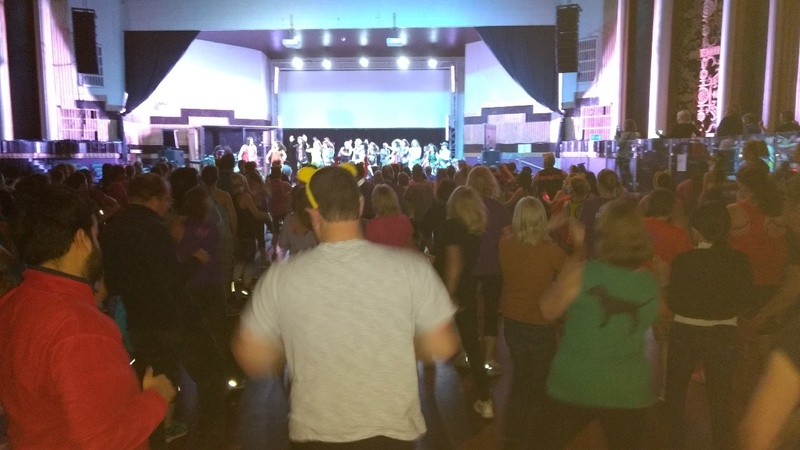 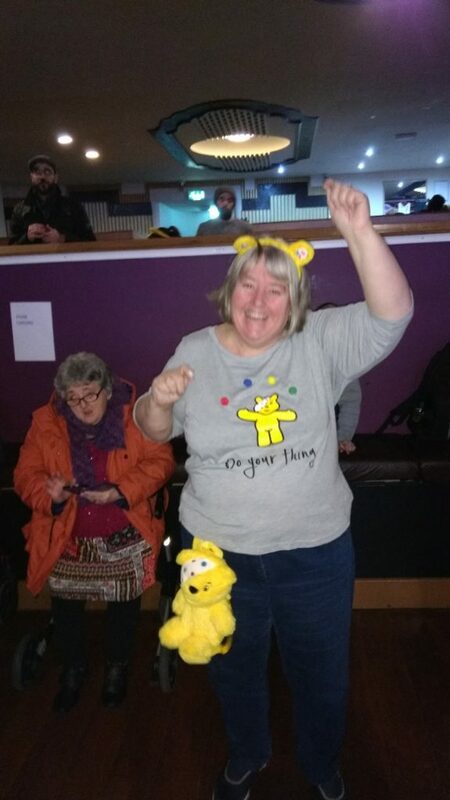 We joined a crowd of Zumba enthusiasts and instructors to raise money for Children in Need at the Christian Life Centre on Cowley Road. 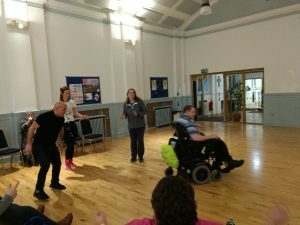 George Martini came, and we had another great Zumba session, which included two routines which we will perform at the Zumathon in December. 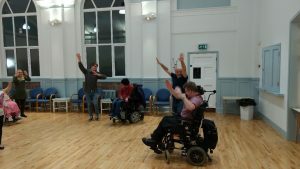 Here we are, with a mixture of dance styles – having a good time. 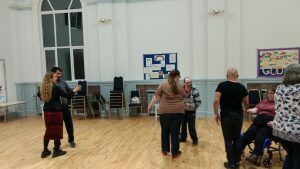 Zumba – with Tango ! 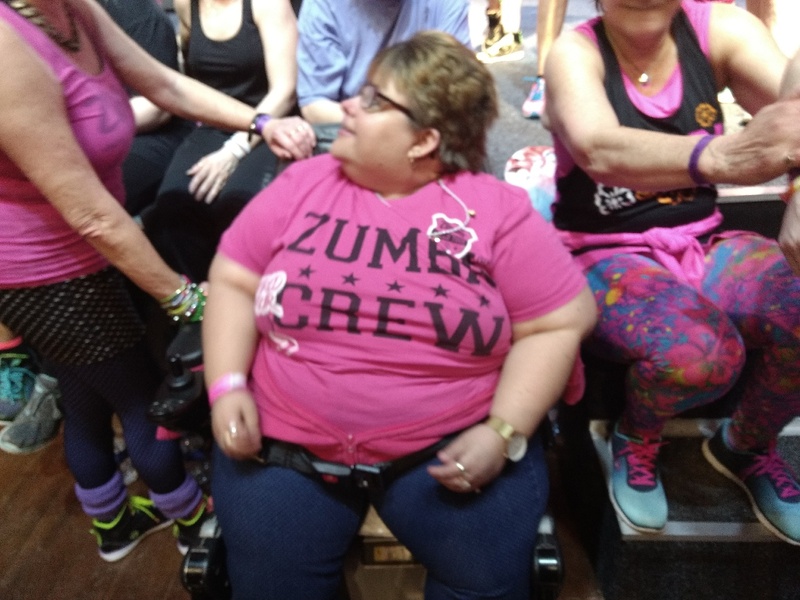 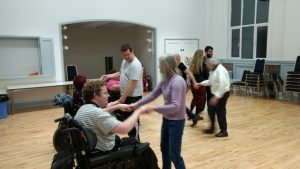 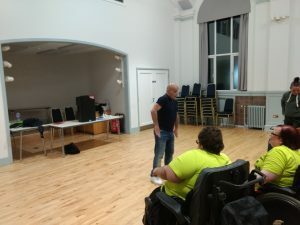 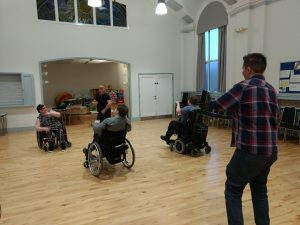 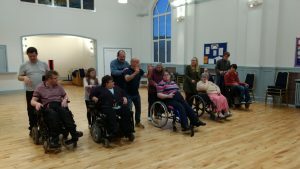 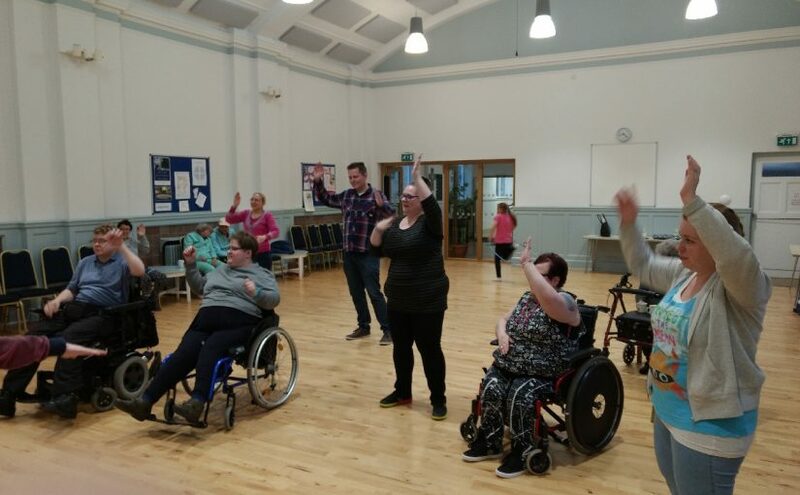 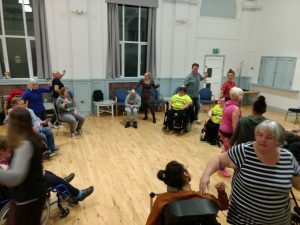 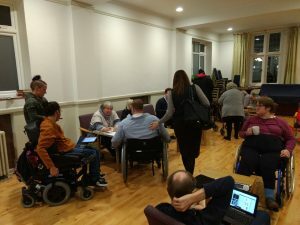 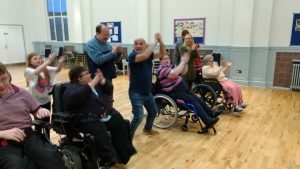 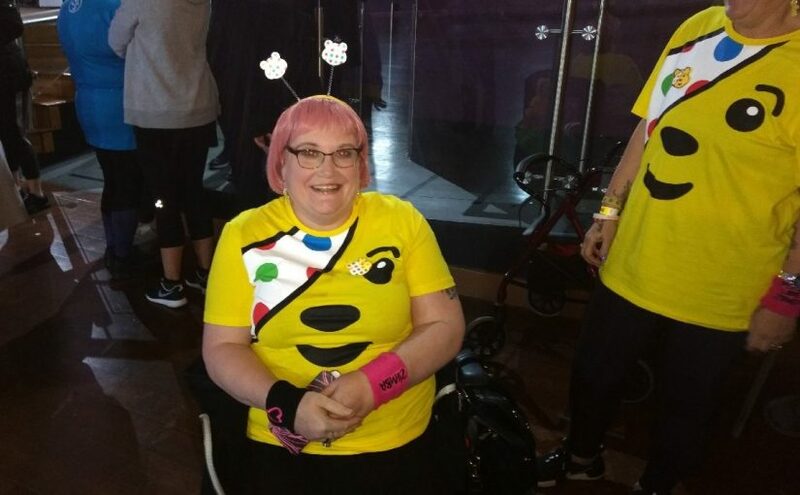 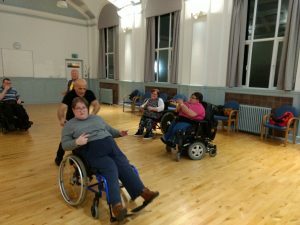 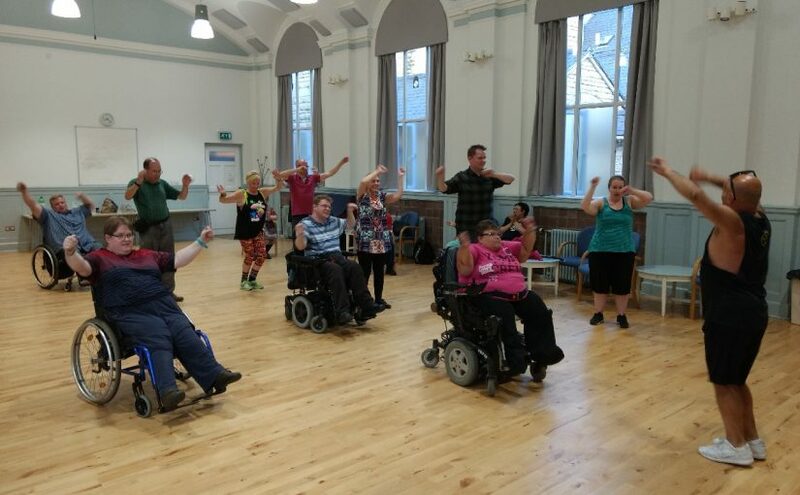 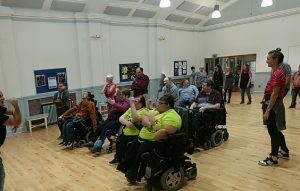 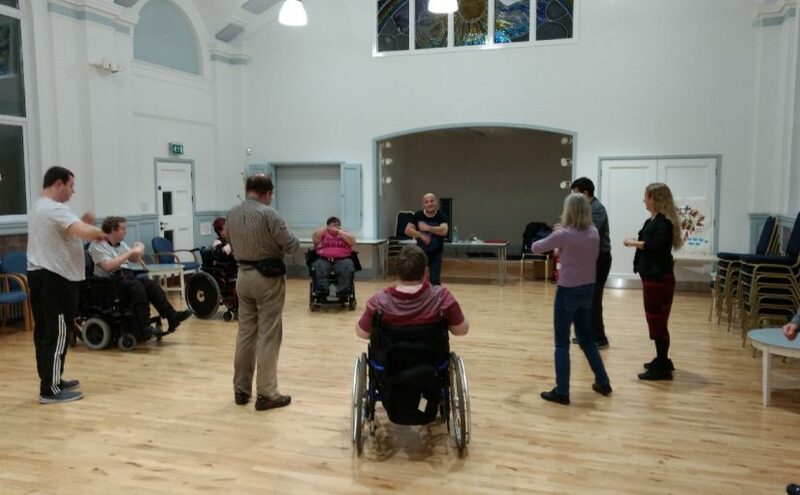 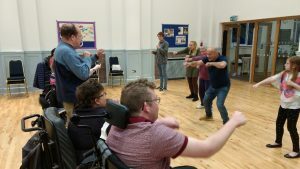 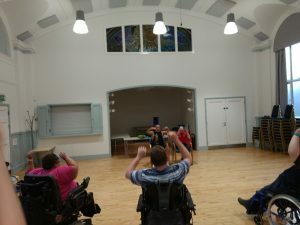 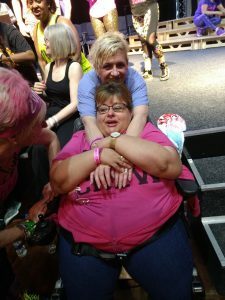 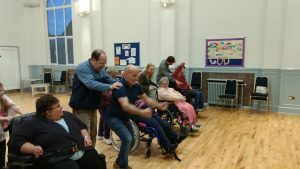 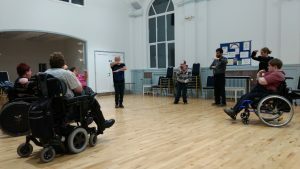 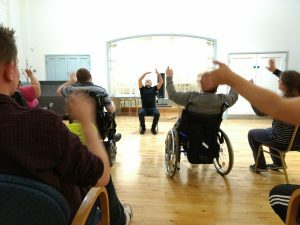 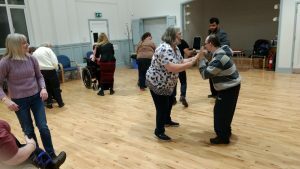 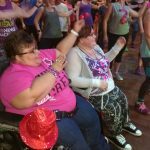 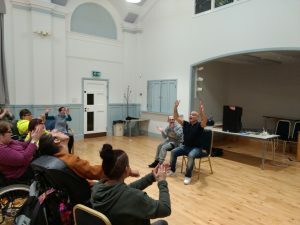 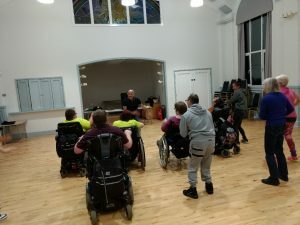 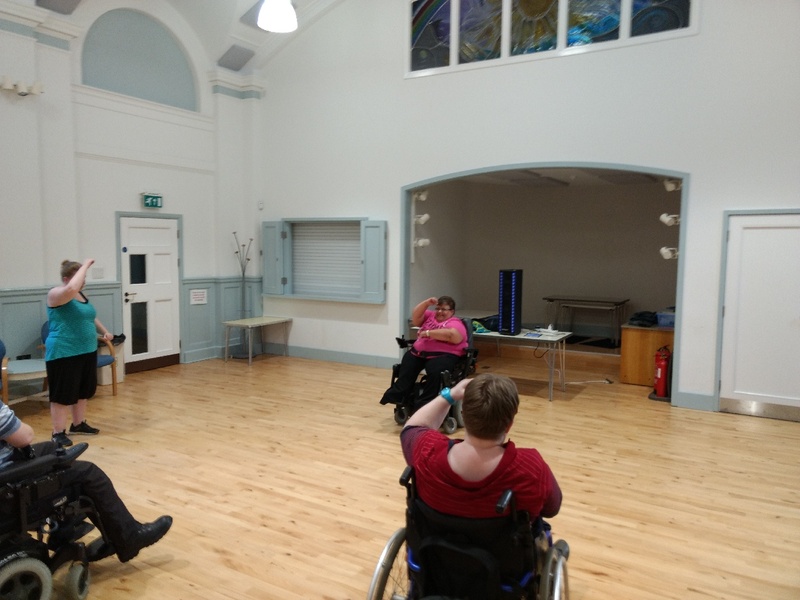 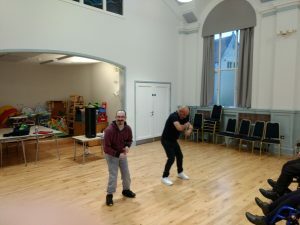 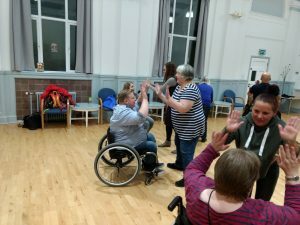 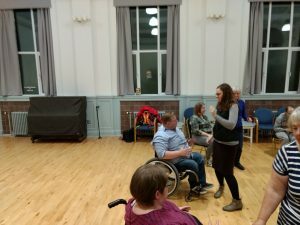 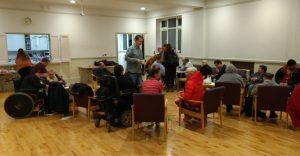 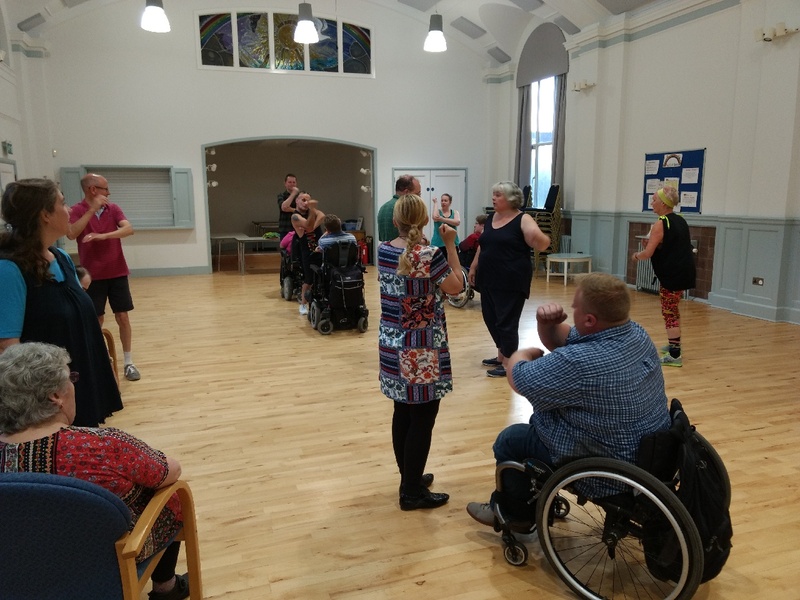 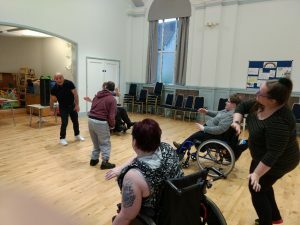 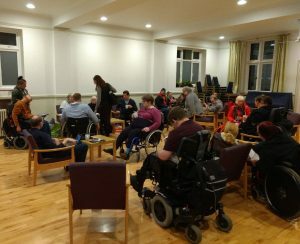 We always enjoy Zumba, and George Martini had us try some dances in a different style, rather like a cross between the Zumba we had been doing and the Wheelchair Dance we did in February. 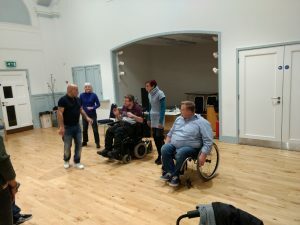 Here we are in action ! 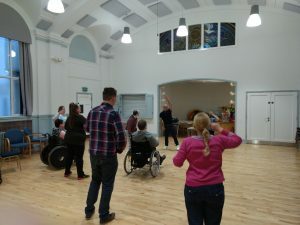 As well as dances in lines there were dances in a circle – this one was taken while dancing, so the room as well as the dancers seems to be moving ! We even did a tango – but participating and filming a circle dance is possible, but a tango would be too tricky ! 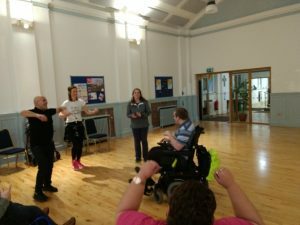 We all really enjoyed the session and look forward to more Zumba in future. 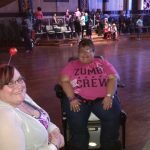 To fund out activities we will be taking part on the Oxford Fun Run on May 6th, so please consider sponsoring us. 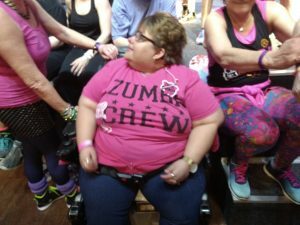 Posted on April 28, 2017 Categories Wesley Memorial, ZumbaLeave a comment on Zumba – with Tango ! 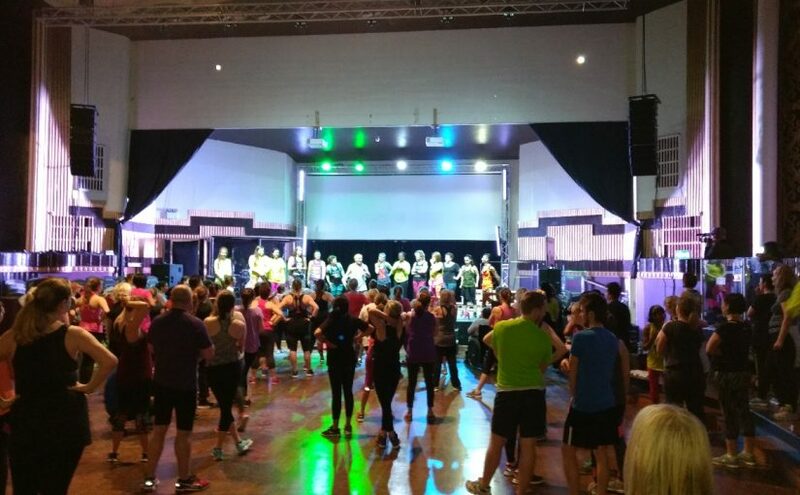 About 20 Oxfordshire Zuma instructors held a Zumba fundraising evening at the Christian Life Centre on Cowley Road. 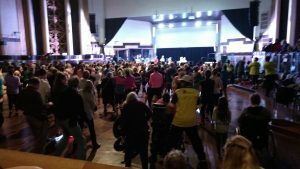 The money raised went to various local cancer organisations. 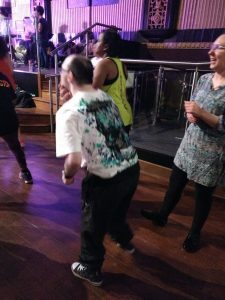 Oxford Phab were very glad to have a chance to participate in this event.